SAN DIEGO, CA--(Marketwire - October 1, 2007) - Viking Systems, Inc. (OTCBB: VKSY) -- Nationwide Children's Hospital in Columbus, OH, becomes the first children's hospital in the nation to bring 3D vision technology to their growing minimally invasive surgery program by purchasing multiple new 3Di Vision Systems. Traditionally, minimally invasive surgeons had to adapt to performing surgery by looking at a flat two dimensional video display with no depth perception which is very different from the three dimensional view they are used to in open surgery. With this new vision system and their depth perception restored, they can learn, perform and refine advanced minimally invasive surgical procedures quicker and easier. Viking Systems, Inc. has developed the only 3D visualization system on the market today, which allows the surgeon to regain natural depth perception without loss of tactile feedback from the surgical instruments. Viking's Personal Head Display (PHD) places the 3D image in front of the surgeon's eyes for more comfort and accuracy during complex MIS procedures. 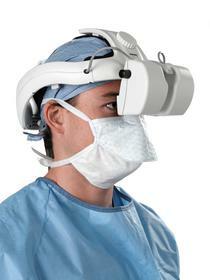 The 3Di vision system was first used by pediatric urologist Dr. Rama Jayanthi and his surgical team in June of 2007. Dr. Jayanthi commented at the time that "The 3D high definition view we had during the procedure was incredibly precise and we look forward to working with this technology more and more. The 3D view certainly makes fine suturing easier and more accurate." Dr. Russell Faust and Dr. D. Richard Kang, both Pediatric Otolaryngologists, bring minimally invasive techniques to pediatric head and neck surgery and have used the Viking 3Di System in conjunction with a surgical navigation system to perform image guided functional endoscopic sinus surgery, and complex skull base surgery. "I am very excited by the potential that 3D vision brings to advancing minimally invasive head and neck surgery and I'm looking forward to using it more in the future in combination with surgical navigation systems," stated Dr. Faust. "By acquiring multiple 3Di Vision Systems, Nationwide Children's Hospital has the full advantage of performing advanced pediatric MIS procedures within several surgical specialties and areas of the hospital," said Stephen Heniges, Viking's senior vice president of global marketing and clinical development. "We applaud the commitment Nationwide Children's Hospital has made to provide their surgeons with state-of-the-art technology and encouraging them to further pediatric minimally invasive surgical techniques." Ranked in the top 12 on U.S. News & World Report's 2007 list of "America's Best Children's Hospitals," Nationwide Children's Hospital is one of the nation's largest pediatric healthcare networks providing wellness, preventive, diagnostic, treatment and rehabilitative care for infants, children, adolescents and adult patients with congenital disease. A medical staff of nearly 900 and a hospital staff of 6,000 provide state-of-the-art pediatric care for more than 700,000 patient visits annually. As home to the Department of Pediatrics of The Ohio State University College of Medicine, Nationwide Children's Hospital physicians train the next generation of pediatricians and pediatric specialists. The Research Institute at Nationwide Children's Hospital is one of the top 10 National Institutes of Health-funded free-standing pediatric research facilities. In honor of a $50 million transformational philanthropic gift from Nationwide Foundation, Columbus Children's Hospital became Nationwide Children's Hospital September 24, 2007. This renaming reflects the hospital's national stature while staying true to the original mission since its founding in 1892 of providing care regardless of any family's ability to pay. More information is available by calling (614) 722-KIDS (5437) or through www.NationwideChildrens.org. Viking Systems, Inc. is a designer, manufacturer and marketer of FDA-cleared, CE-marked, high-performance laparoscopic vision systems. The Company's primary branded product is the 3Di Vision System, an advanced three-dimensional (3D) camera system used by surgeons for complex minimally invasive laparoscopic surgery, with an initial focus on applications in urology, gynecology, bariatrics and general surgery. Viking also manufactures advanced two-dimensional (2D) 2Di Vision Systems for targeted configurations and channels, as well as 2D cameras and components, sold through strategic partners and OEM programs. Statements contained in this press release regarding matters that are not historical facts are "forward-looking statements" within the meaning of the Private Securities Litigation Reform Act of 1995. Because such statements are subject to risks and uncertainties, actual results may differ materially from those expressed or implied by such forward-looking statements. Such statements include, but are not limited to, statements regarding Viking's goals, its prospects for growth and its marketing efforts. Risks that contribute to the uncertain nature of the forward-looking statements include: risks related to the effectiveness of its marketing program, its ability to continue to obtain funding, its ability to maintain sales momentum, and costs associated with internal development, partnership and in-licensing activities. These and other risks and uncertainties are described more fully in Viking's most recently filed SEC documents, including its Annual Report on Form 10-K and Quarterly Reports on Form 10-Q, under the headings "Risk Factors." All forward-looking statements contained in this press release speak only as of the date on which they were made. Viking undertakes no obligation to update such statements to reflect events that occur or circumstances that exist after the date on which they were made. About this company Viking Systems, Inc.